Not quite Amsterdam! Still playing & learning with the new toy. I love the Spring Colours. Thank you for all your recent comments & favs, always much appreciated, even if I don’t get chance to thank everyone all the time. Brilliant colours. Love the black background. Great colours and light against the black background ! Beautiful and I love them against the black background. 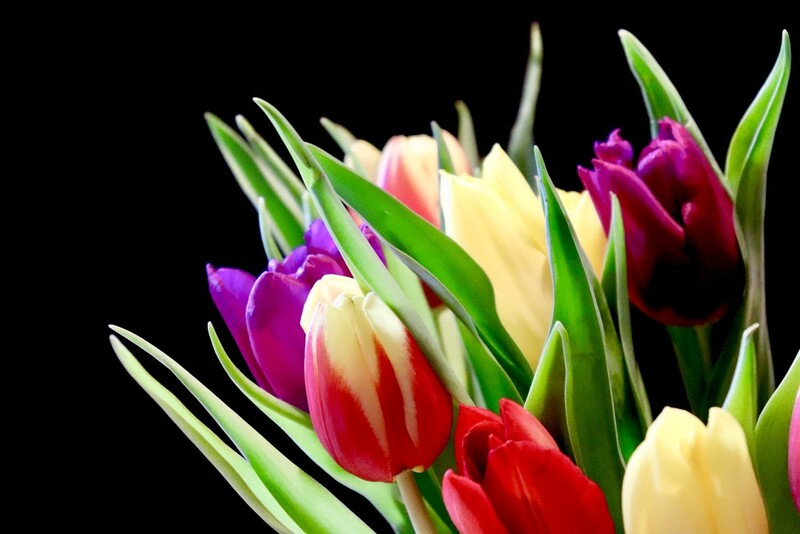 Don't you just love a bouquet of tulips?! These are lovely - nice composition and good on black. Beautiful tulips, I would have to keep looking & enjoying these beauties. it must be lovely to see the vivid colours after a grey winter. Beautiful colours on the black. I think Tesco flowers really last well.